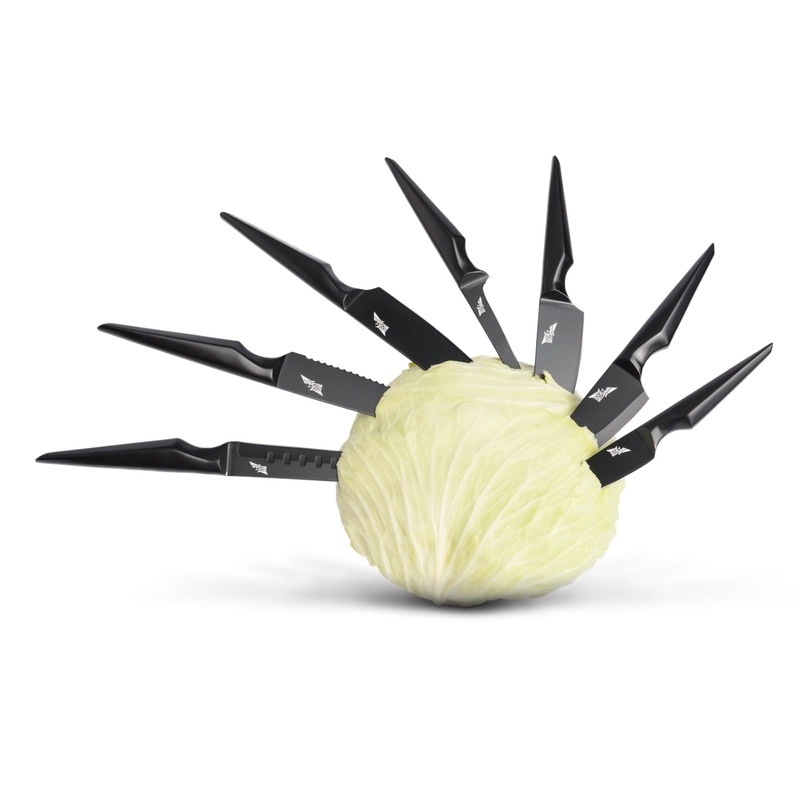 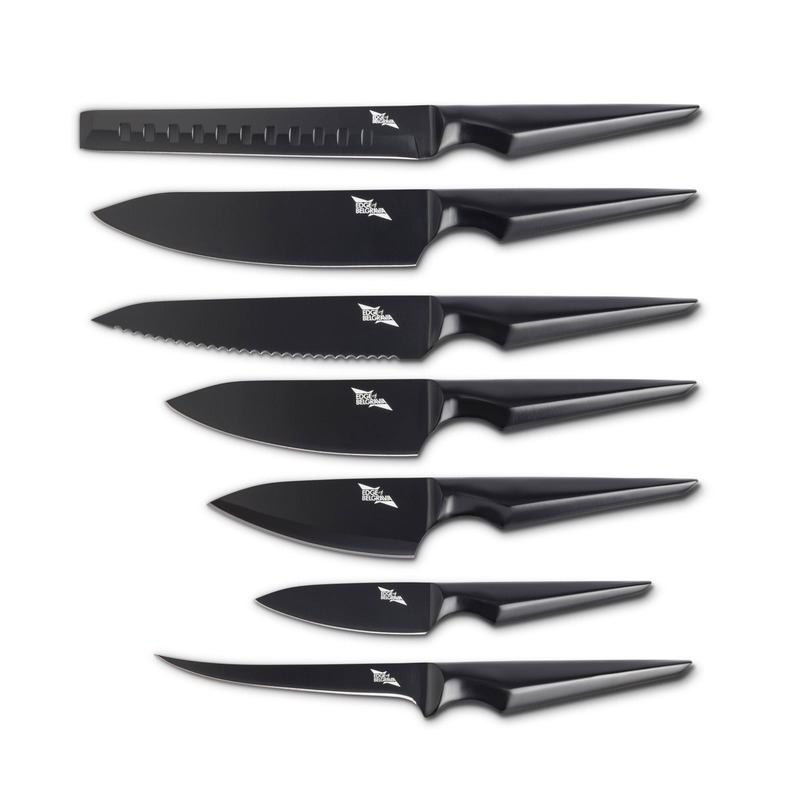 The Galatine Chef Knife 7 Piece Set by Edge of Belgravia is the ultimate knife set for a stylish home Chef. 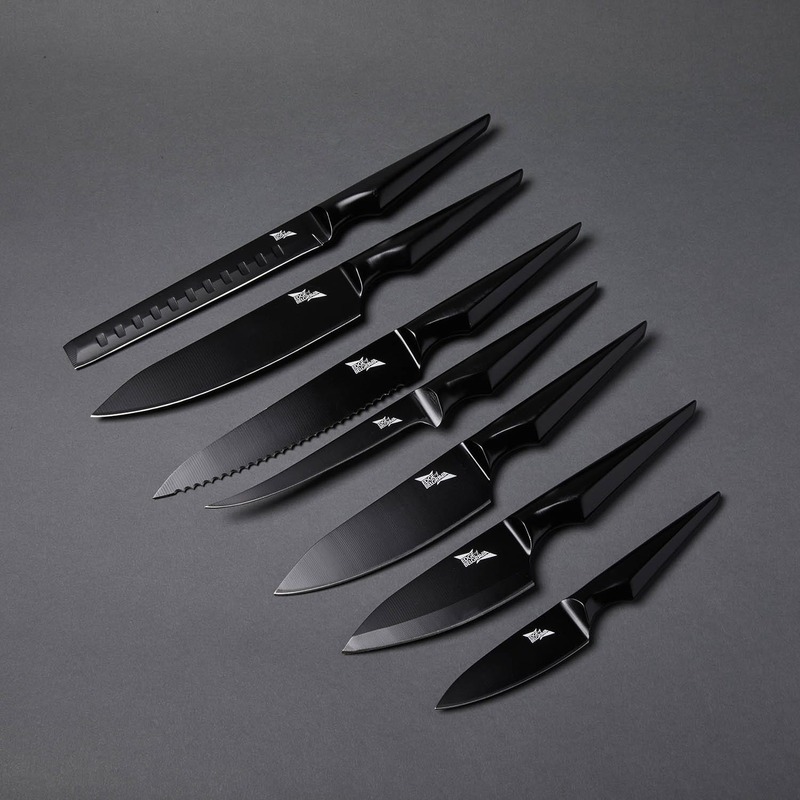 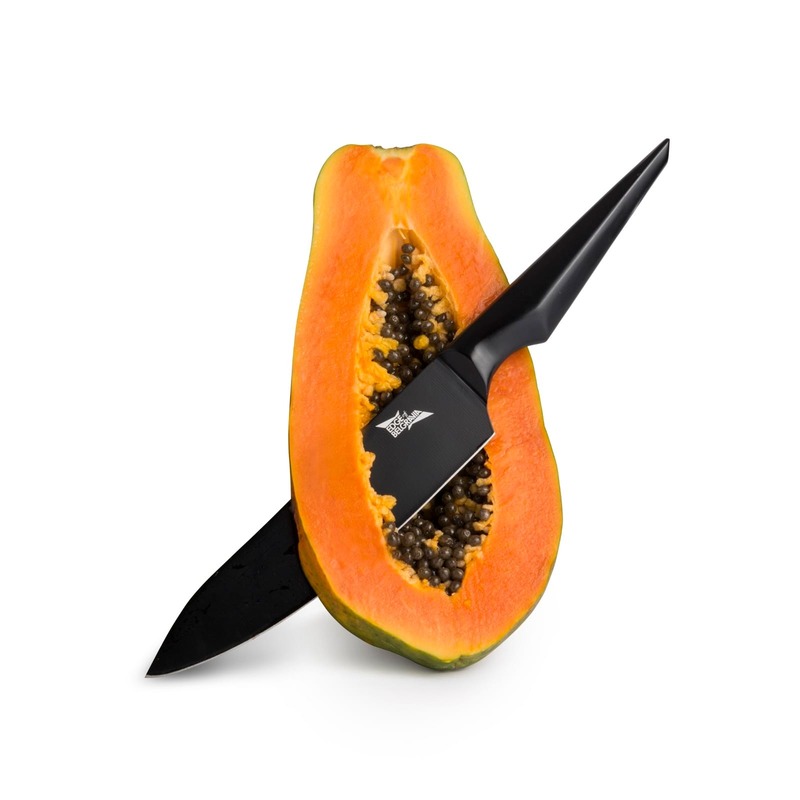 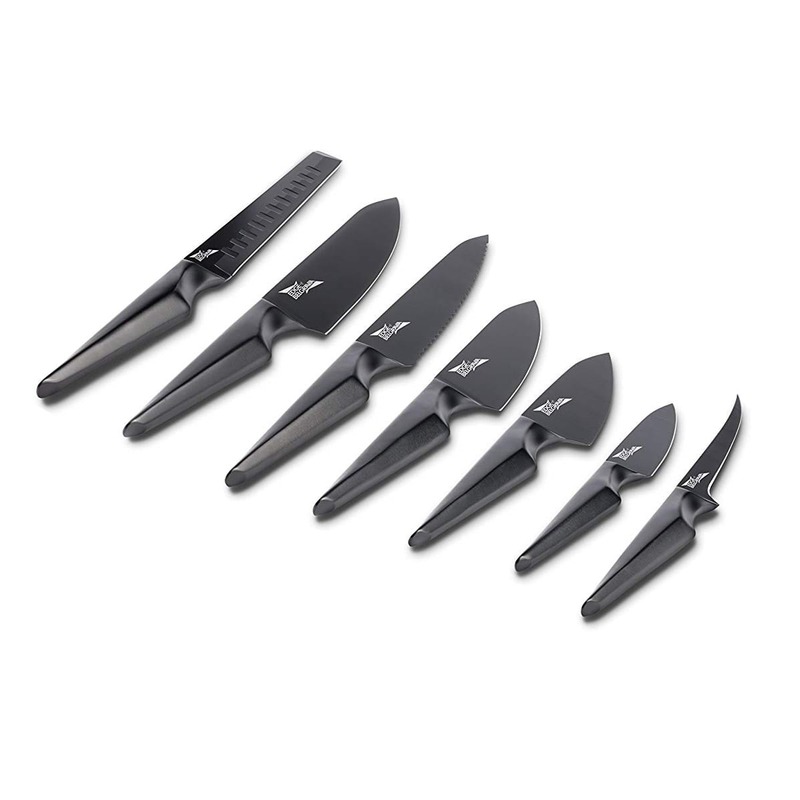 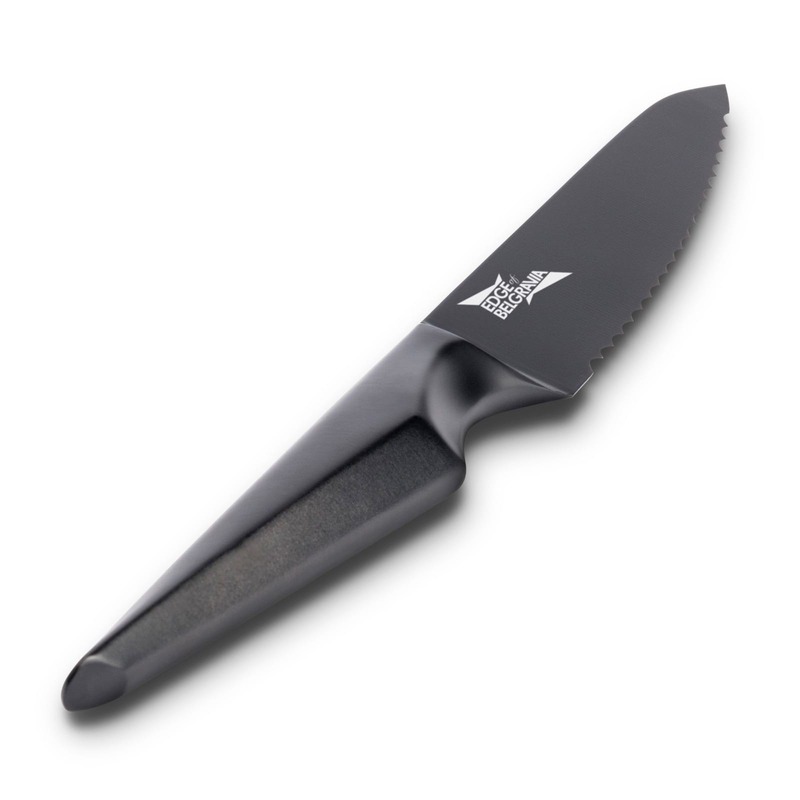 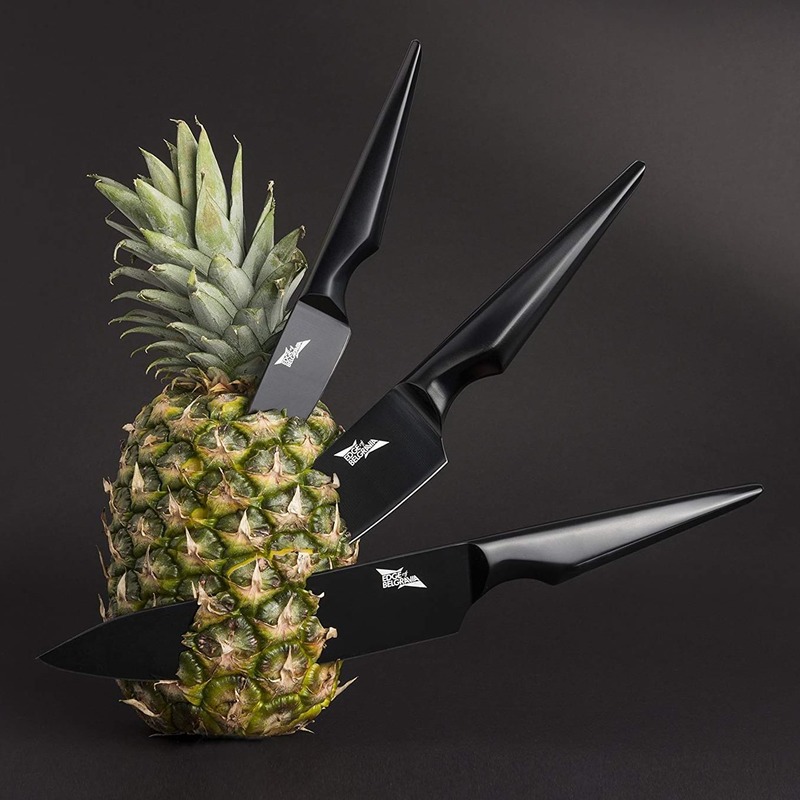 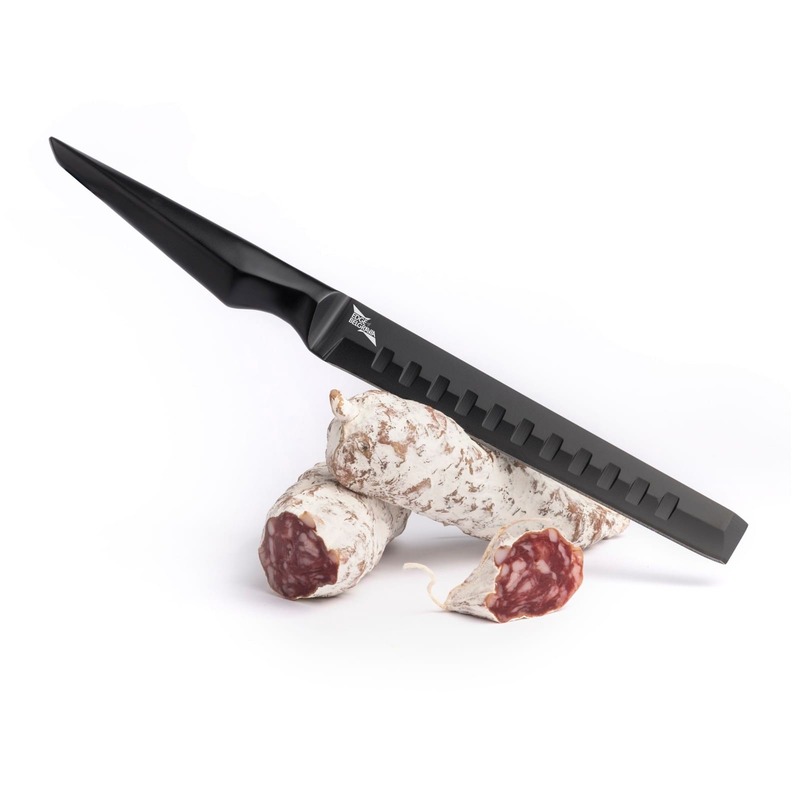 It contains 7 essential kitchen knives with stunning design and superior blades. 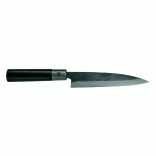 Edge of Belgravia has carefully curated this set to the specific needs of London’s top Chefs. 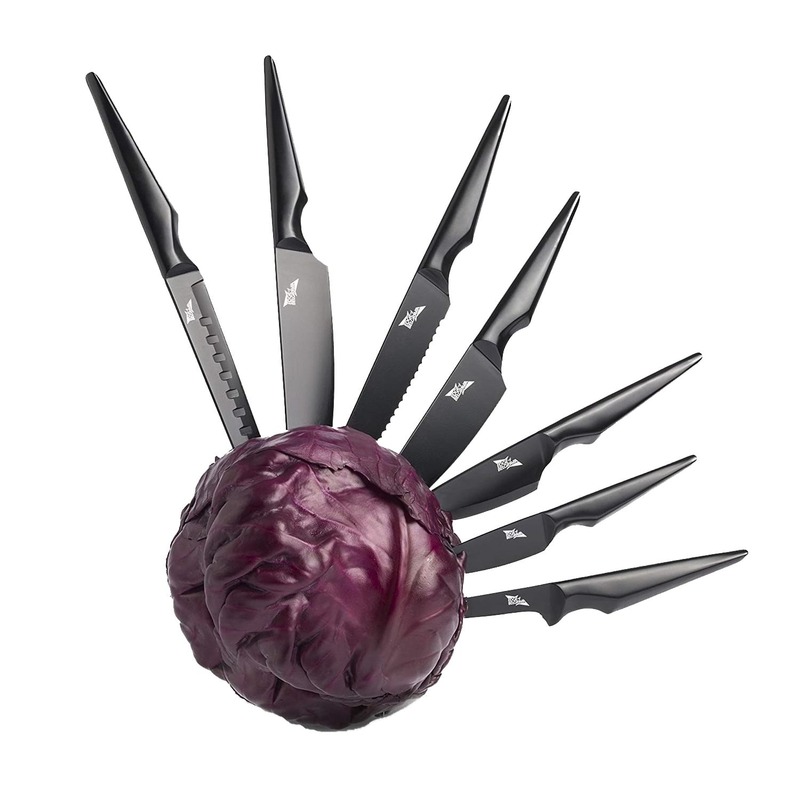 This functional set will provide you with the tools you need to create the most sumptuous dishes. 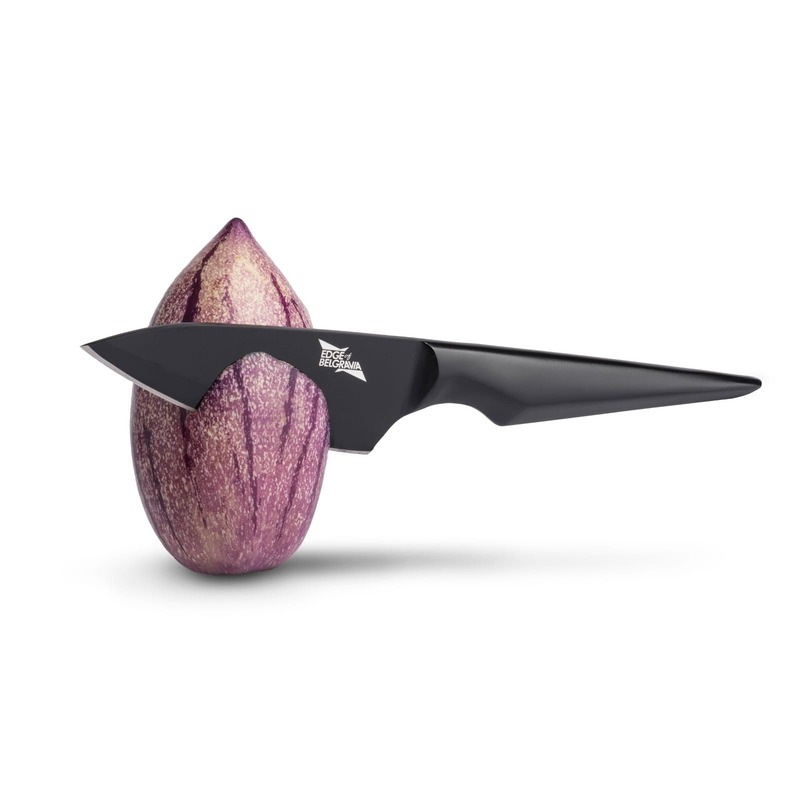 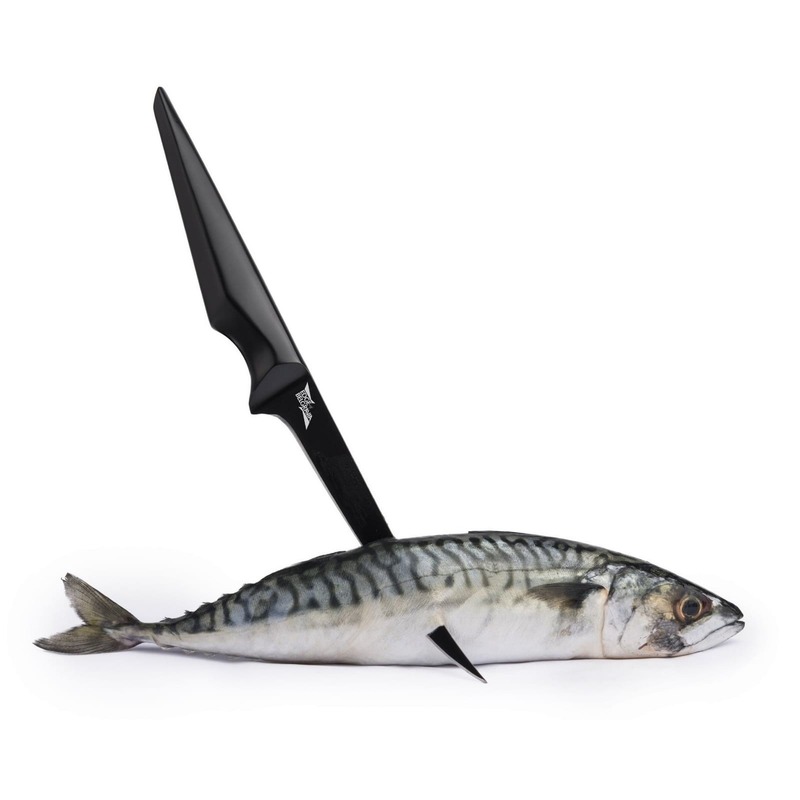 Each knife is uniquely designed for a specific purpose and task: master filleting fish, thinly slicing cured ham or mincing shallots to perfection. 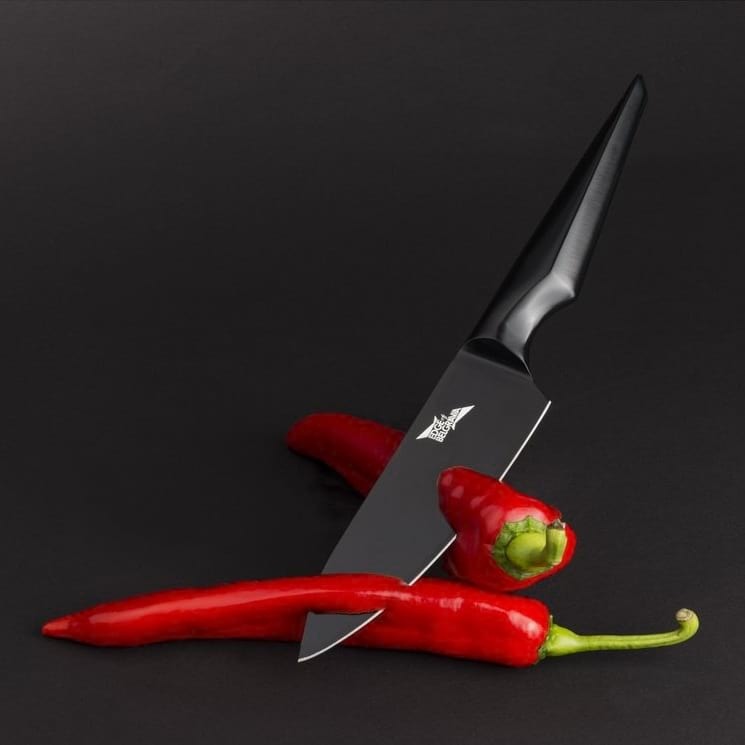 In designing the Galatine Collection Christian Bird has created a series of knives with flawless style and impeccable function, which will become the center of your kitchen world. 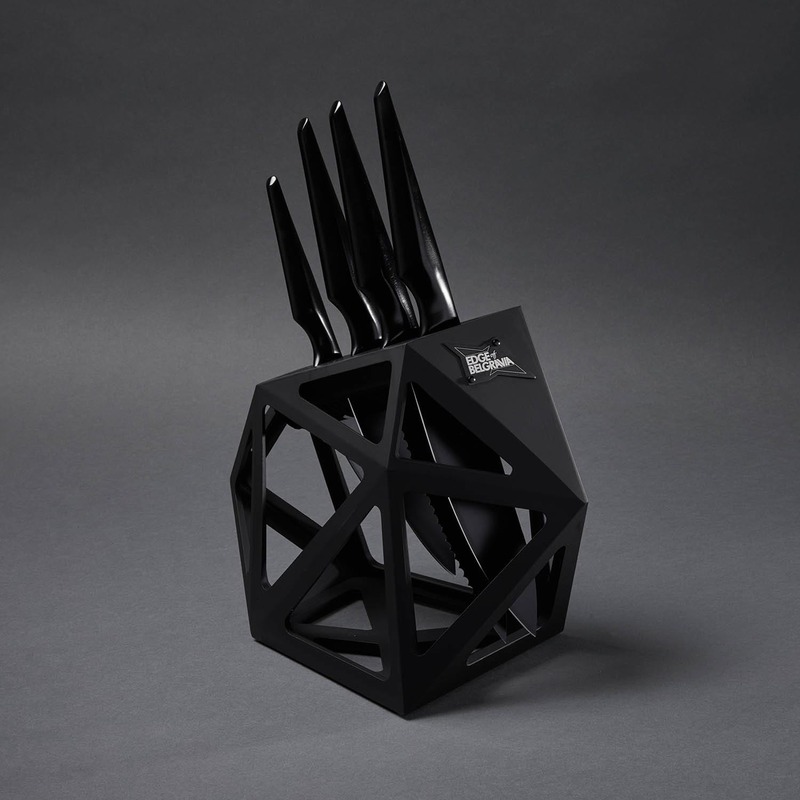 The futuristic design and their unique architectural shape will certainly inspire your cooking. 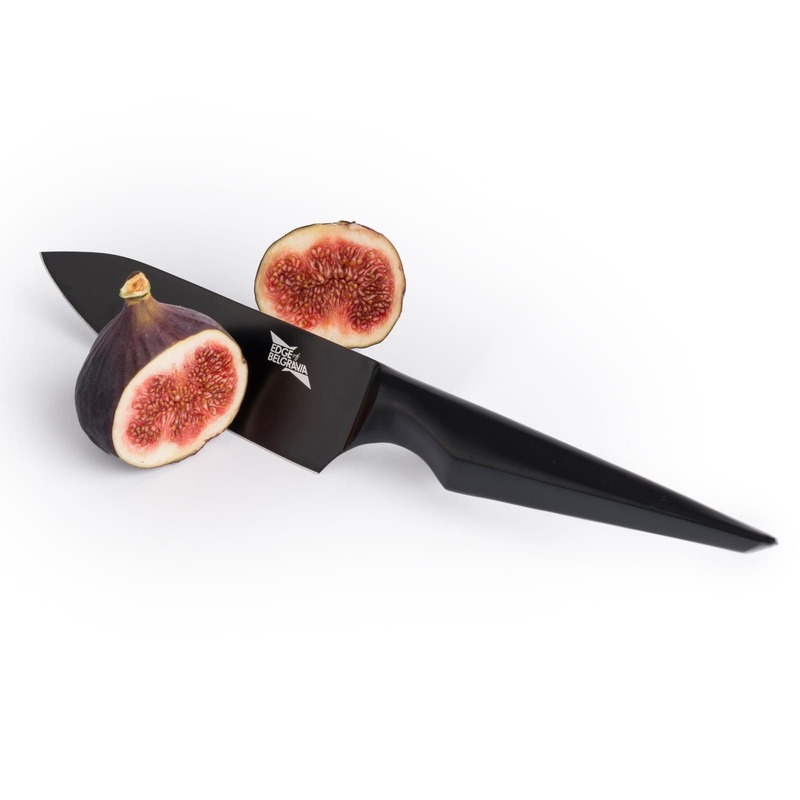 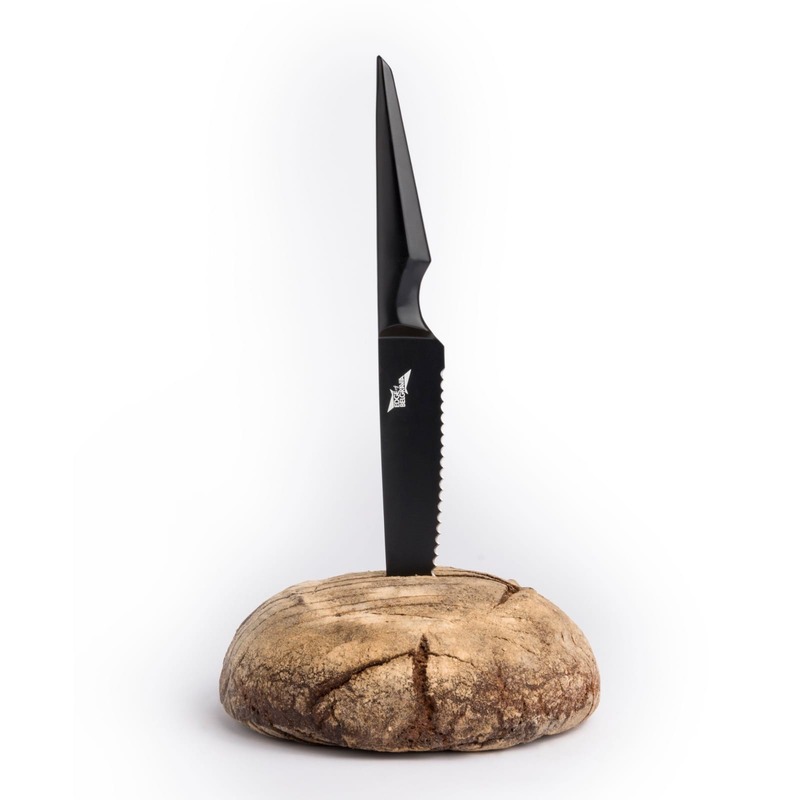 The Galatine Chef Knife Collection is a great combination of prominent design and extreme cutting performance. 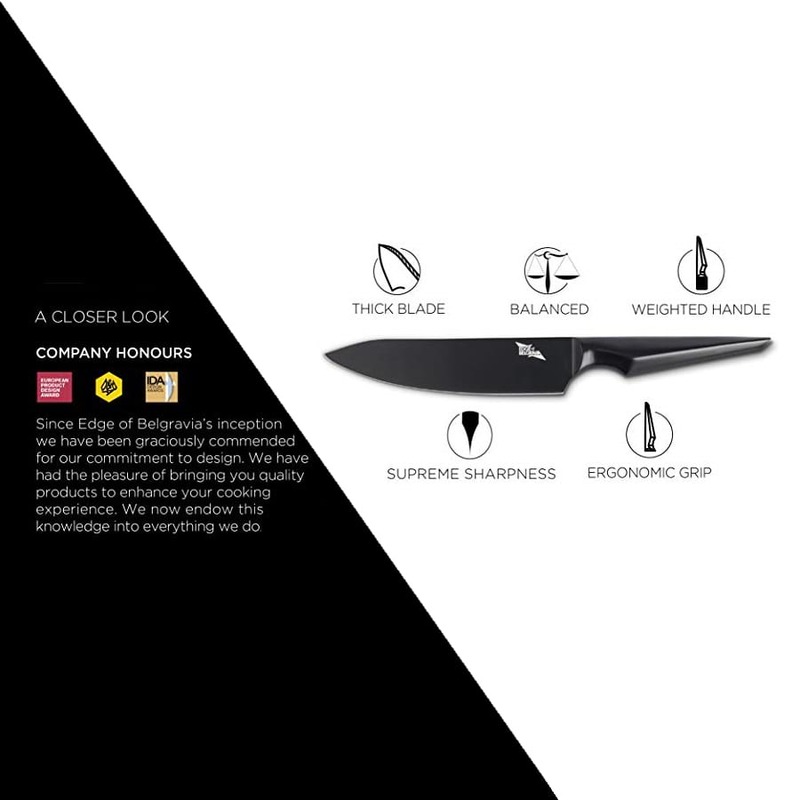 The unique and bold design can be identified in the smooth uniform lines of the knives but also distinctive in the handle which reminds us of the shape of a diamond.